After four successful years with GT, Atherton Racing have announced their move from GT to Trek. (Waterloo, WI) - Trek and Trek Factory Racing have announced the creation on a marquee World Cup-level Downhill racing program for the 2016 season. The new team will take on the full UCI World Cup series as well as select regional Red Bull events. 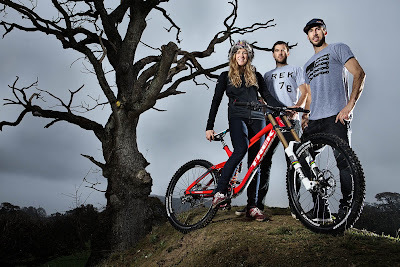 Join Trek Factory Racing Downhill for it's inaugural season with Rachel Atherton (UK), Gee Atherton (UK), Dan Atherton (UK), and Taylor Vernon (UK). The Athertons rank among the most triumphant families in cycling. As a trio, they represent decades of downhill racing excellence on the professional circuit. A combined six World Championship titles, fifteen National Championships, two European Championships Championships, and over thirty World Cup wins decorate the family mantle. Trek is proud to partner with Dan, Gee, Rachel, and Taylor, and will offer full support to their exceptional competitive trajectory. Beyond their success in competition, these athletes are phenomenal ambassadors for the sport of downhill mountain biking The Athertons' wealth of experience also gives them a unique perspective on product development. Trek will rely on their expertise and input in the continued development of downhill bikes and equipment that have been raced to victory at the pinnacle of the sport. "We are delighted to be a part of Trek Factory Racing," said Team Director Dan Brown. "The team have substantial goals and we're really excited to have Trek's support and partnership. We're looking forward to bringing the passion and professionalism that Trek have demonstrated across their whole cycling portfolio to our World Cup Downhill campaign and beyond." Trek Factory Racing's product development relationship with its athletes has been a successful recipe, and one Trek plans to replicate with the new downhill program. Trek will work with the new team on the continued development of the best bikes and equipment through active research and testing around all aspects of downhill racing. 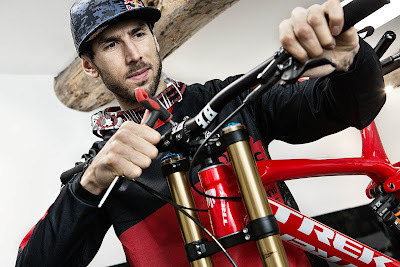 "A lot of people out there are already saying that the Session is the fastest bike on the circuit," said Gee Atherton. "Trek have shown how receptive they are to rider feedback, and we want to put our own stamp on the bikes." Dan and Rachel Atherton are equally excited to participate in the development process. "Trek is super-motivated to develop the bikes and push the brand forward," said Dan. "They are hungry to progress the sport as we are and we can't wait to get started." Rachel added. "I'm stoked to be working with Trek. I remember watching my fellow Brit Tracy Moseley absolutely tearing apart the field at the Worlds in 2010 on her Trek Session, then going on to dominate the 2011 season. Trek is a brand with a lot of positive associations for me." Gee, Rachel, and Taylor will ride the Trek Session, one of the most decorated mountain bikes in history, equipped with Bontrager components, wheels, and tires. 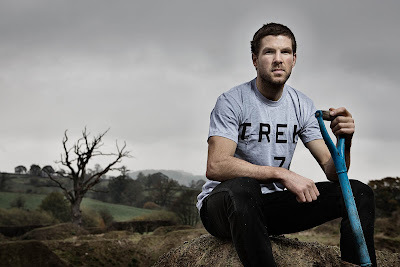 Dan Atherton will be taking turns on the Trek Session and Slash depending on the race and terrain. Trek Factory Racing is a global professional cycling team that competes at the highest level with the utmost passion and respect to the sport. Woven around unique, rich personalities that create perfect unity, the team is open, engaging, and welcomes all to come and experience the grit and glory of professional cycling.